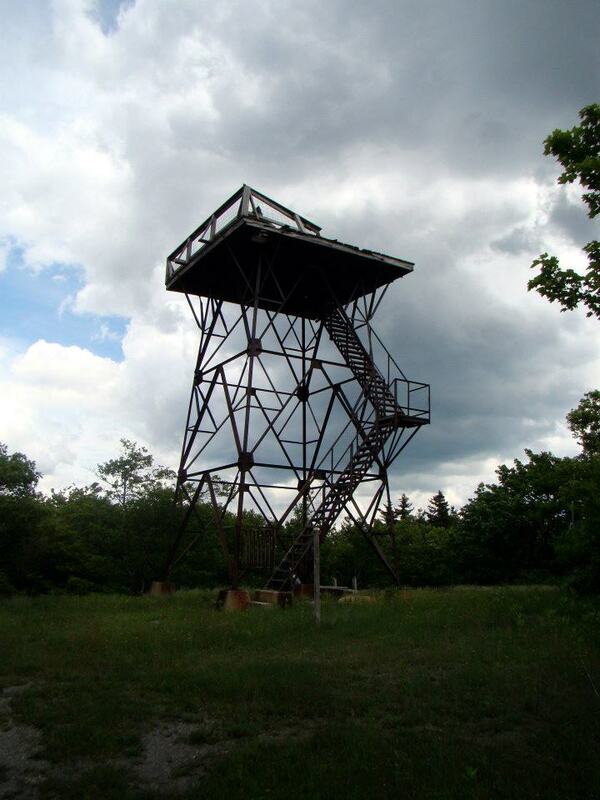 Atop many of West Virginia’s mountains stand fire towers, some of which are still in use today. Others have succumbed to the elements and are no longer in working order. However, approximately a dozen are still intact, some easily accessible in tourist areas (i.e., the one at Whittaker Station at Cass Scenic Railroad) while others are off the beaten bath. 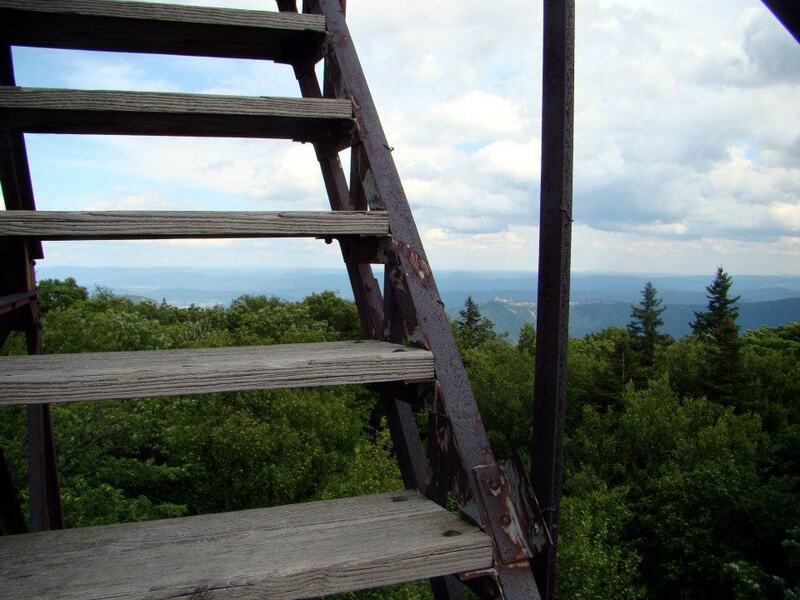 Among the harder to reach ones is Bell Knob Fire Tower in the Dolly Sods Area. The Bell Knob Fire Tower sits along the ridge and overlooks Petersburg and the Chimney Top section of the North Fork Trail. It began operating in 1943 until 2010 when a record snowfall blew off the top. 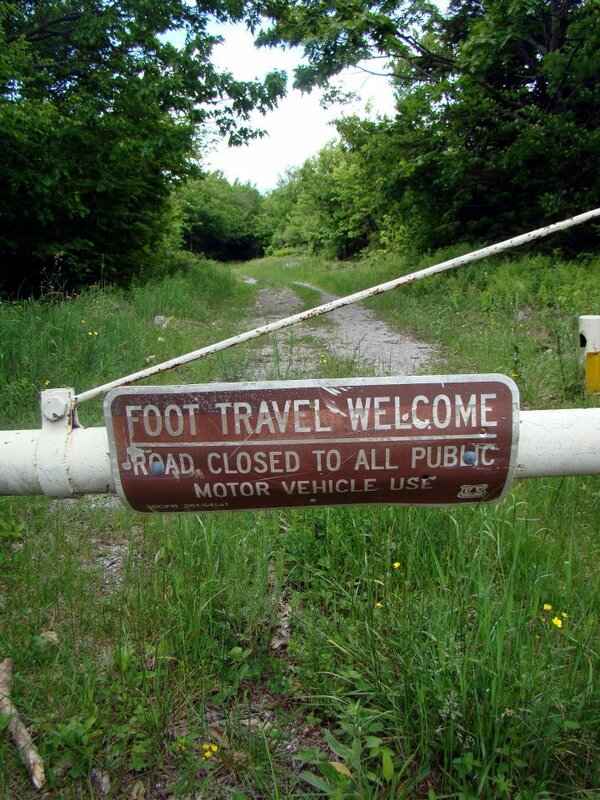 You may still access it on foot via a grassy road just off Forest Road 19, however, please use caution when approaching the tower, as it may be unsteady. If you’re a geocacher, there is also a geocache nearby (GCKGNT). The search for the geocache is actually what brought me to the tower! 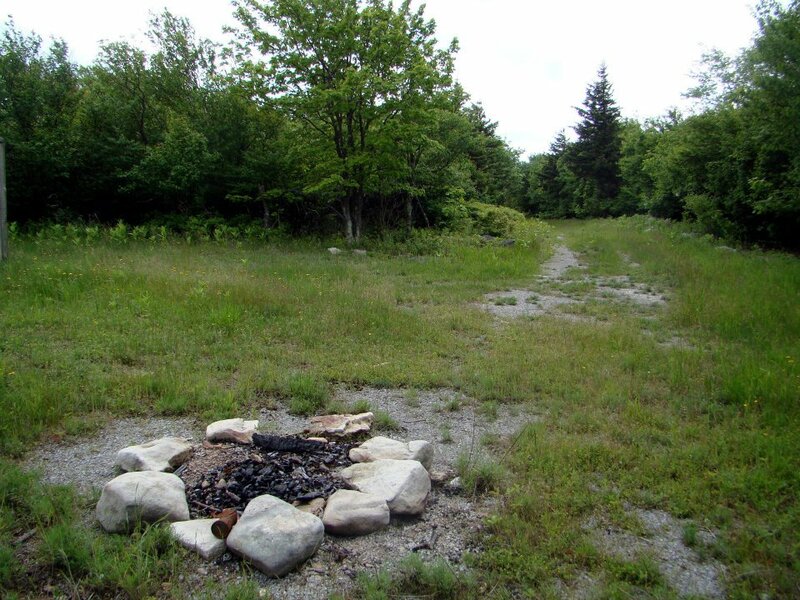 The beginning of the road to the Bell Knob Fire Tower; this is a space for one or two cars before this gate. When you reach the tower, the trees clear out. It looks like people still visit to camp! Bell Knob Fire Tower; its roof was blown off in 2010. 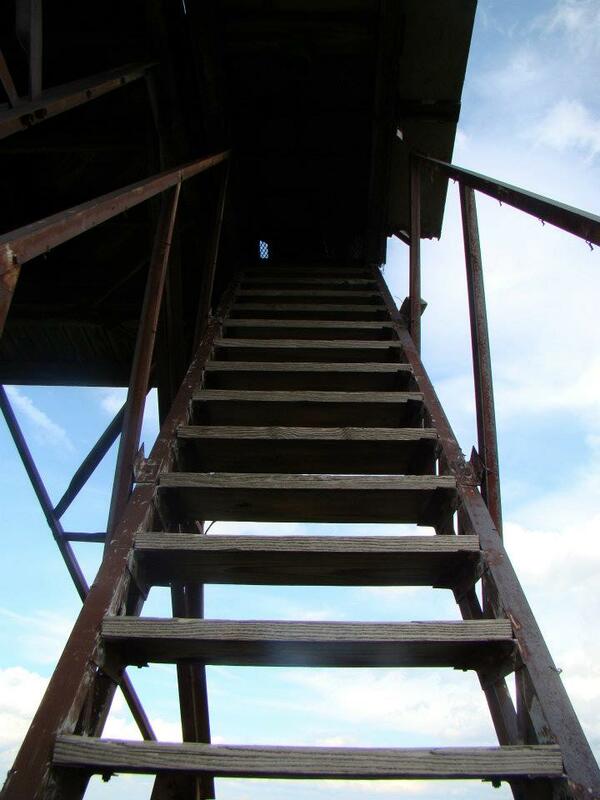 A view up to the top, which is now boarded closed.